All participants of the Giant Big Game are required to sign a waiver before participating. Players camping at Splat Tag the night before the Giant Big Game must sign their waiver prior to camping. Players under 14 must be accompanied by an adult (a player 18 years of age or older) for the duration of their stay. 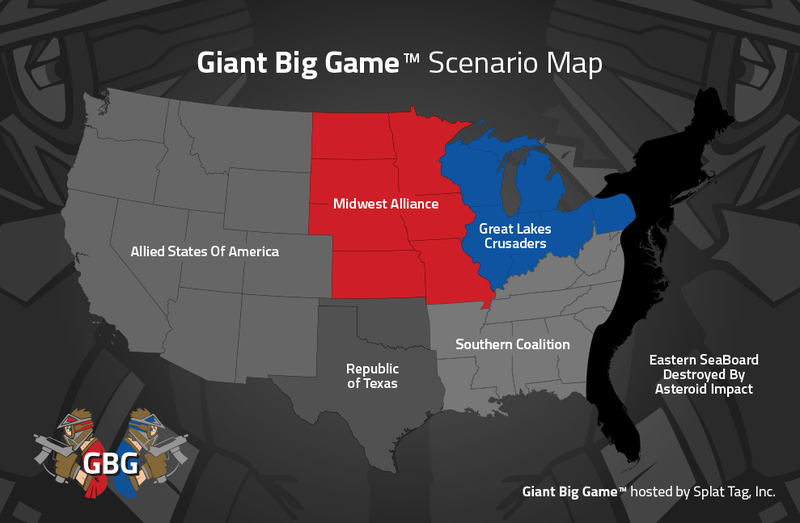 Get all the developing details for Giant Big Game XXXVI. 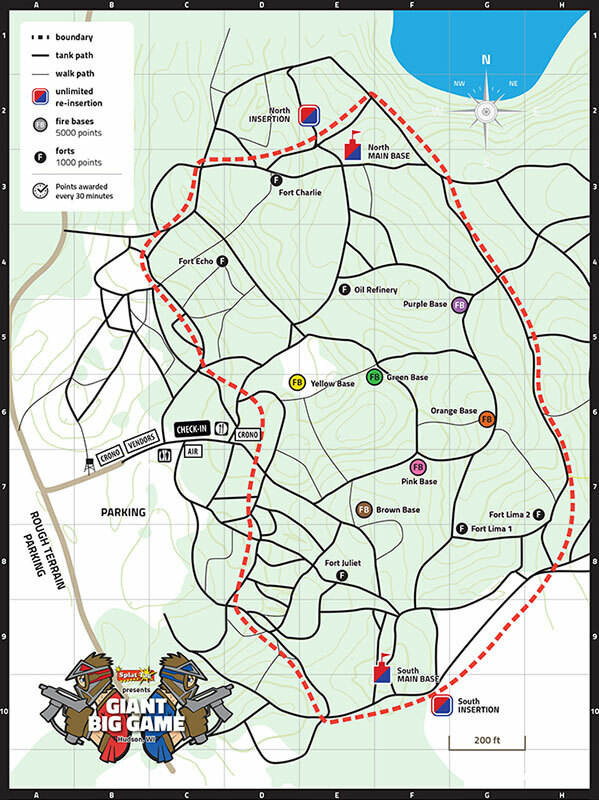 Check out the Splat Tag field map.